Twenty minutes later, Unity had raised $35,000, the COO/CFO of Unity Worldwide Ministries had acquired the nickname Bubba Bruce and Edwene Gaines had delivered a powerful prosperity message. You can watch the 20-minute clip here and you can watch the entire meeting on Facebook. Edwene's prosperity lesson is that “people give when there is a vision.” She's right of course, but the vision in this case is special. It's about the Nigerians. I want to share with you some things I have come to learn about our brothers and sisters in Nigeria because we have much to learn from them. Does that slogan sound familiar to those of us in the United States? Is it possible that our current American president somehow borrowed the first half of Rev. Divine Hart's slogan but forgot about the second half? More important, could it be that his slogan and the book from which it came — which mixes Unity teachings, good government, personal responsibility, and institutional change — could guide Unity in the United States to serve in ways that help Americans overcome our own political paralysis? 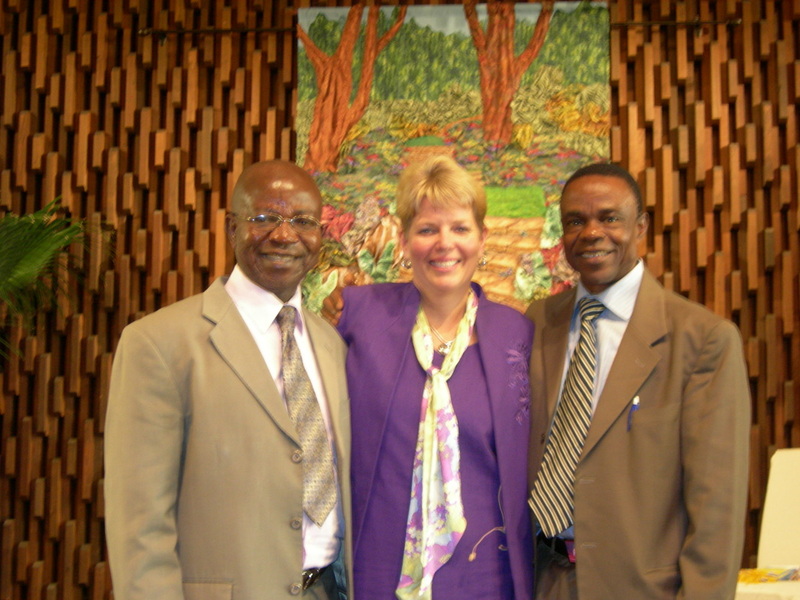 Another place to visit is Building Bridges: A Worldwide Sister Ministries Program. There you will see Rev. Lisa Davis with Rev. Amos Kalu, who leads Silent Unity in Nigeria and you will find out more about how we can support education of young women in Nigeria. Wouldn’t you like to see Emotimi become a Unity minister and know that she is helping others in Nigeria discover Unity as "the last bus stop"? Finally, you may recognize this guy — Sr. Rev. Agbai Ompa Agwu — because he was at the People's Convention this year and several years past. 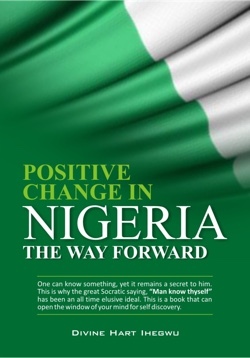 He's part of the Unity leadership in Nigeria and he is a wonderful writer. This Lenten study guide is a wonderful seven-part publication that he has shared with all of us in Unity. I first learned of Rev. Agbai's work from the Unity Archives, which has a collection of resources sent to us from Nigeria, dating back over seventy years. 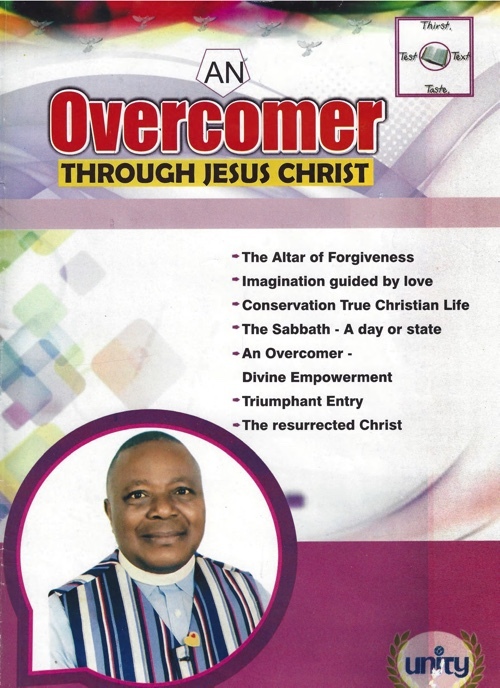 Agbai has a book entitled “Life Shall Be Our Banner.” I hope to have it republished in North America soon and for the full text to be available on the Internet. Here is what all this tell us. Africa is young. Africa has tremendous undeveloped natural resources. Africa is entrepreneurial. Africa has huge urban centers, teeming with energy. Those who study global development tell us that in 20 years Africa will be the new China. I believe that Africa is where we will find Practical Christianity emerge to be a predominant message of wholeness, empowerment and prosperity for the global community. Its bustling urban centers will be where urban ministry will be practiced and perfected in the 21st century. So here's my point: Unity enthusiastically raised over $35,000 in less that 20 minutes because—as Edwene said—there is a vision. But that vison isn’t poverty. It's a vision of prosperity. The Nigerians, who long ago received the message of Unity through radio transmission, have come back to bless us with wisdom, life and inspiration.